Home Events and Releases Beer & Yoga Every Sunday! 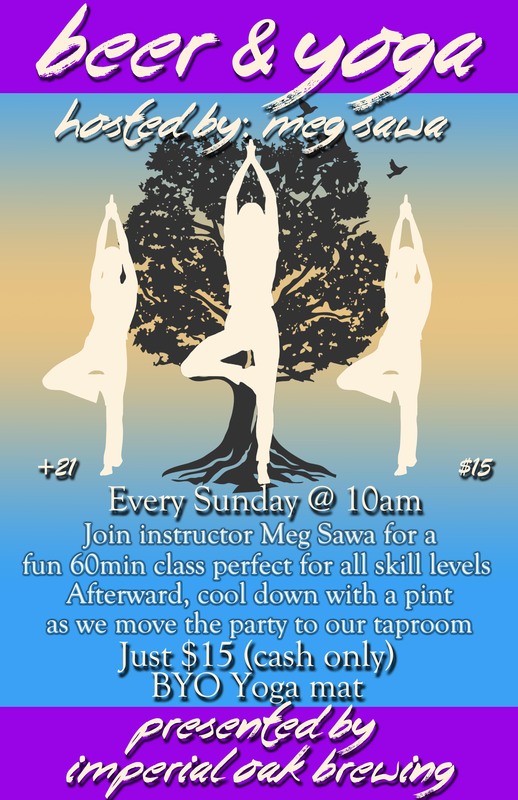 Come out for Beer and Yoga every Sunday at 10am. 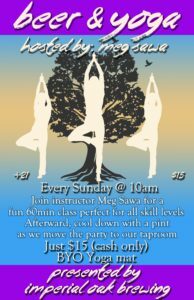 Join instructor Meg Sawa for a fun 60 minute class, perfect for all skill levels. Afterward, cool down with a pint as we move the party to our tap room. The class and pint is only $15 (cash only please). Please bring your own yoga mat.